Filling layer self-compacting concrete (FLSCC) is a key material in newly-built China Rail Track System (CRTS), which is commonly subjected to cyclic dynamic load from high-speed train and various ambient temperature during service. 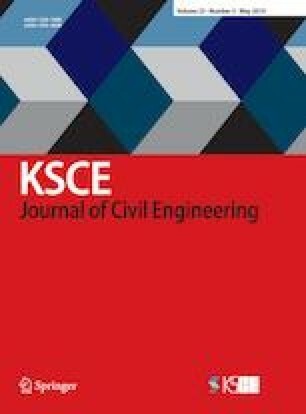 In this paper, a series of indoor simulating experiments was conducted to investigate the impact resistance of FLSCC suffering from cyclic flexural load and different temperature conditions with a Φ75 mm split Hopkinson pressure bar (SHPB). The dynamic increase factors were introduced to evaluate the strain rate effect on various mechanical properties of FLSCC and the corresponding mechanisms were explained. Results show that the dynamic increase factor of compressive strength (DIFc) and peak strain (DIFε) of FLSCC increase linearly with logarithm of strain rate, while specific energy absorption increases exponentially with strain rate. The impact resistance of FLSCC is greatly influenced by cyclic flexural load and low temperature. The strain rate sensitivity of compressive strength of FLSCC at minus temperature (−20°C) is weaker than that at normal temperature (20°C) and after freeze-cyclic load coupling action the sensitivity decreases further. Similar tendencies were also observed in peak strain and specific energy absorption.